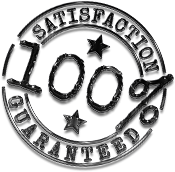 Our Personal 100% No Risk Guarantee! You will be absolutely delighted with our quality service and genuine interest in your needs. If you are not happy with our work, we will do whatever it takes to make it right… for free. If you are still not happy, we will pay a competitor of your choice to fix it for you. Nothing is more important to us than your complete and total satisfaction. There are many variables that are factored into pricing. Common considerations are lot size, lot characteristics, hedge trimming, lawn obstacles, edging and weed-eating distances, and surface areas for blowing, etc. However, a typical residential lot with common characteristics will average $90 to $120 per month for year round for lawn maintenance. We service every property on a weekly basis 50 weeks a year. For a quick estimate please fill out the form below. Need immediate assistance getting a quote for lawn and landscape maintenance? Give us a call at 863-797-4911 today!